Click BOOK NOW to request a date & start time. 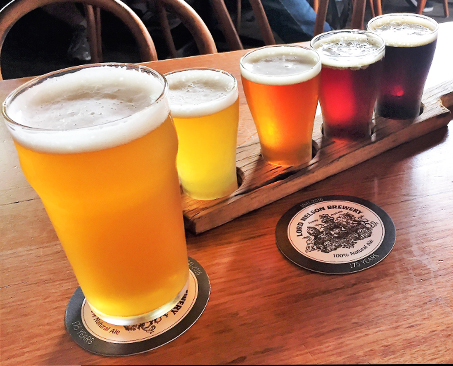 TOUR DESCRIPTION: Hearty Australian food, Craft beer from the brewery and Sensational Sydney stories are forged together to create a unique historical odyssey. Our tour will explore the best of The Rocks, Miller’s Point, Walsh Bay, Dawes Point & the Harbour foreshore. LUNCH INCLUSION: A delicious pub lunch & pint of beer is included at our mid-tour-stop inside the iconic LORD NELSON HOTEL & BREWERY. This infamous historic pub in the heart Miller’s Point has been serving scallywags since 1841 and thankfully not much has changed since the early days! 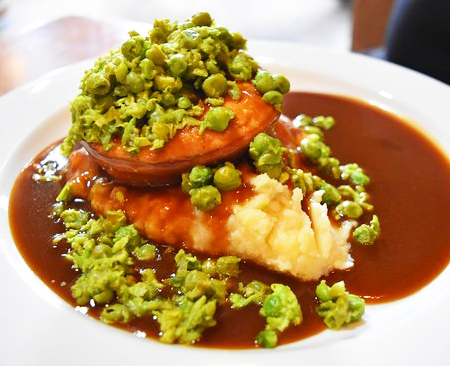 Our best pick for lunch: The Lord Nelson’s chunky Beef Pie with mushy peas, mashed potato & pub gravy: A genuine Aussie classic! Once combined with a Pint of the Nelson’s award winning Three Sheets Pale Ale you’ll realise why the saying “Thank the Lord” holds new meaning in this part of Sydney. From legendary convicts to merchant mansions, every street tells a story in this history drenched neighbourhood! Navigating through the hidden alleys, Victorian terraces and heritage docks of this picturesque quarter, together we will bring Sydney’s history to life. You will be introduced to orphan prisoners who rose to riches and common thieves who brewed Australia’s first beer. Learn of Jack ‘The Miller’ and and Indigenous Australians such as Bennelong, the first Aboriginal man to travel from Sydney to England and back again! Join us for a story about the extraordinary people that make up Sydney’s living heritage! YOUR GUIDE: You are in good hands, your tour will be led by a local historian with a great knack for storytelling. Expect animated history delivered with a sense of humour. Find out more about YOUR TOUR GUIDE. Coffee, water and bathrooms are available at our meeting spot. The tour will endeavour to run for approximately 3.5 hours including a 45 minute stop for lunch mid way through. It should be noted that any delays, extra discussion or unforeseen events may vary the total length of the tour. * If craft beer is not for you then a glass of house wine, soft drink or coffee is available.